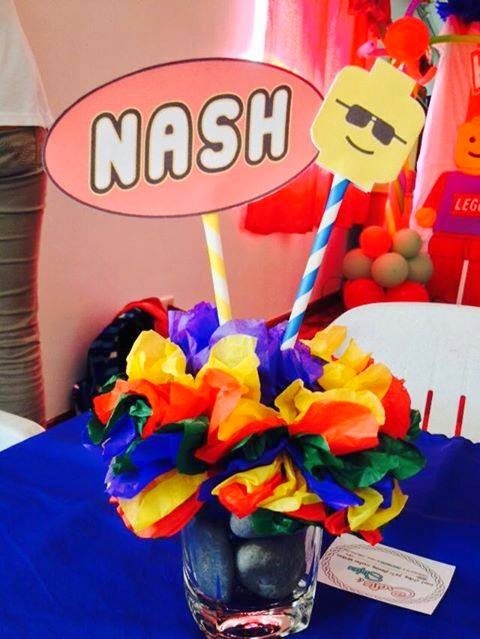 We've done these cute party table center pieces for a client last April 12, during the 7th birthday celebration of her son Nash. There are two sizes of tables, one for the adult guests and another one which is smaller for kids. So, we have to come up with two sets of design for center pieces, as well. 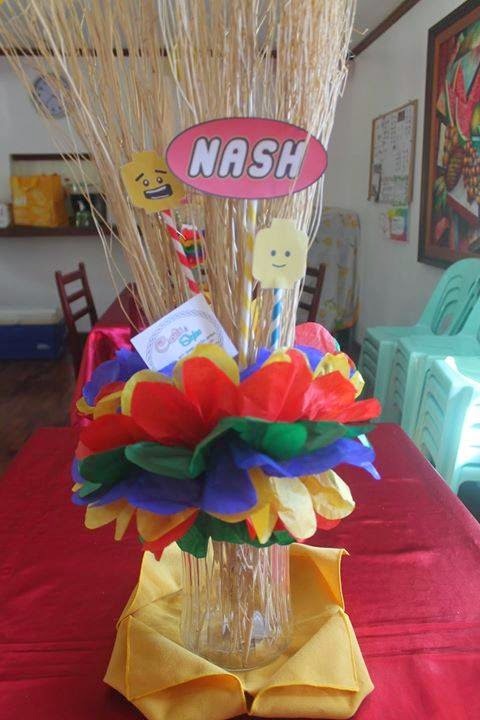 This design was used as a center piece for the adult table. 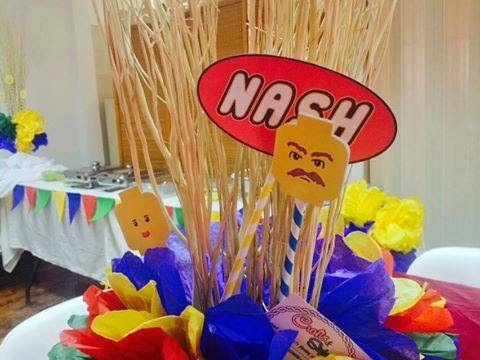 Since the party theme is Lego, we try to maintain the presence of the Lego characters but since the table is intended for the adults, we incorporate some twigs in a clear vase for an added drama. This is the up close version of the adult table center piece. It came out so cute and colorful that it really matches the party theme. We are very pleased to know that our client and her guests were satisfied with the designs that we've came up with. This is very easy to do and all it takes is just a little sense of creativity plus hard work as making pompoms is also quite tedious if you need to come up with many. But if you love arts and crafts, this is very easy. You can have this design for your your future parties and change the cartoon character print outs to stay within the theme.